Easy and fast to assemble. No Glue or Solder needed Simply pop out the pieces by hand or with the aid of wire cutters. Then connect each piece at the attachment points according to the easy to follow instruction sheet included with each model. This can be accomplished by hand or facilitated by using needle nose pliers. Great for ages 14 years old and up. 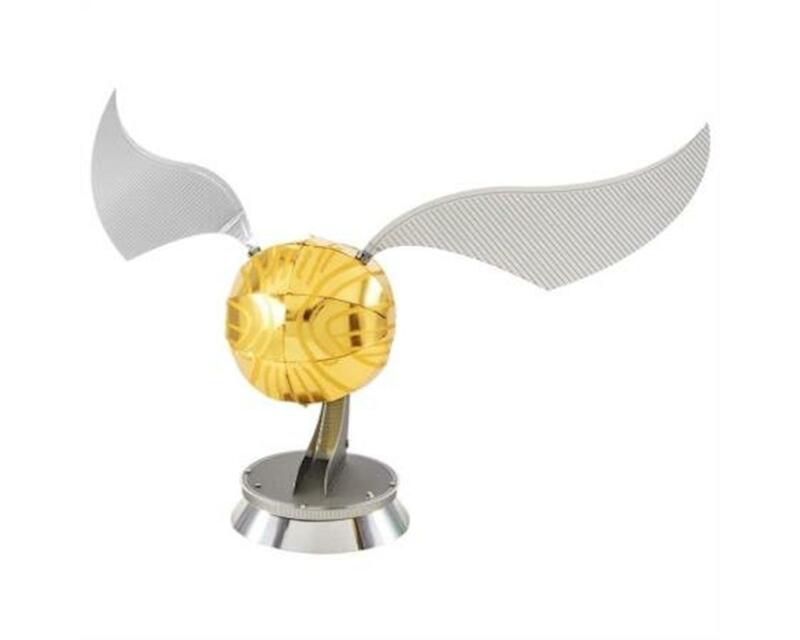 From Steel Sheets to Museum Quality Models GOLDEN SNITCH: Often called the Snitch, is the third and smallest ball used in Quidditch. It flies around the Quidditch field at high speeds. The Snitch Snatcher, or Seeker as they are called, objective is to catch the Golden Snitch and wins Quidditch match.